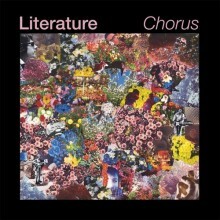 Philly indie pop band Literature will release their new album Chorus on August 19th via Slumberland Records. The band has released the track “New Jacket” which you can stream below. Literature has a familiar sound that is sure to remind listeners of a slew of different groups, but they do it very well and this is the type of track that makes an immediate impression with its dreamier lead melody and laid back vocals. The group will be on tour in September, check out the list of dates below. Philadelphia indie-pop outfit Literature are set to release their sophomore album ‘Chorus’ on August 19 via Slumberland Records. Today the band shares album highlight “New Jacket.” Stream the track over at AV Club. ‘Chorus’ is available for pre-order on CD/LP via Slumberland and digitally on iTunes. In 2012, following a well-received single and a track on Gerard Cosloy’s “Casual Victim Pile II” compilation they released their debut album, Arab Spring, which became a cult hit within the indiepop community. That album is sharp and immediate, almost mod-ish in its attack, but always tuneful and going for melody where it counts. They toured the US in support, and have performed with the likes of The Pains of Being Pure at Heart, Eternal Summers, Ted Leo, Sic Alps, White Fence, Gentlemen Jesse, Hospitality, and Brown Recluse. They also appeared on Terre T’s Cherry Blossom Clinic. In 2013 they released a follow-up 7″, “Tie Dye” and contributed a track to Esopus Magazine alongside artists like Jens Lekman and The Shins. They also played at that year’s NYC Popfest, which helped cement the buzz that was steadily growing amongst savvy pop fans. Arab Spring was treated to a re-mastered re-press, which followed the first pressing and quickly sold out. The result is an album that is as immediate as it is timeless, full of effortlessly catchy and well-crafted tunes that echo pop legends like Smiths and Orange Juice. All of that time in the studio has resulted in a rich, considered sound that puts the band’s arranging and playing front and center. Chorus is one of the most exciting pop records in years, and marks Literature at true contenders.